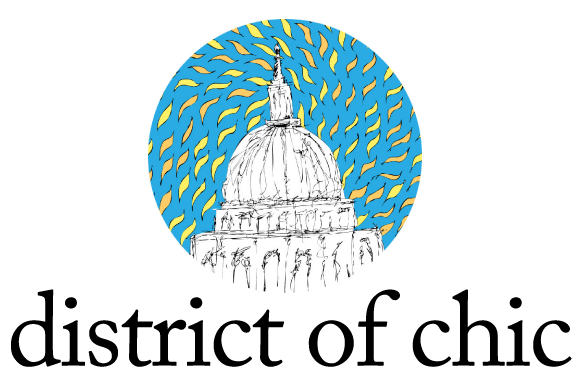 Apologies again for the massive gaps between recipe shares. It’s hard to completely blame the kiddo this time, because honestly we’ve just been enjoying summer outdoor activities and dedicating time to trying new recipes hasn’t really been our top priority. But we recently had a nice excuse to slow down and cook a nice family meal for my dad’s birthday. Have you ever planned an entire meal around a side instead of main? Because that was the case here. 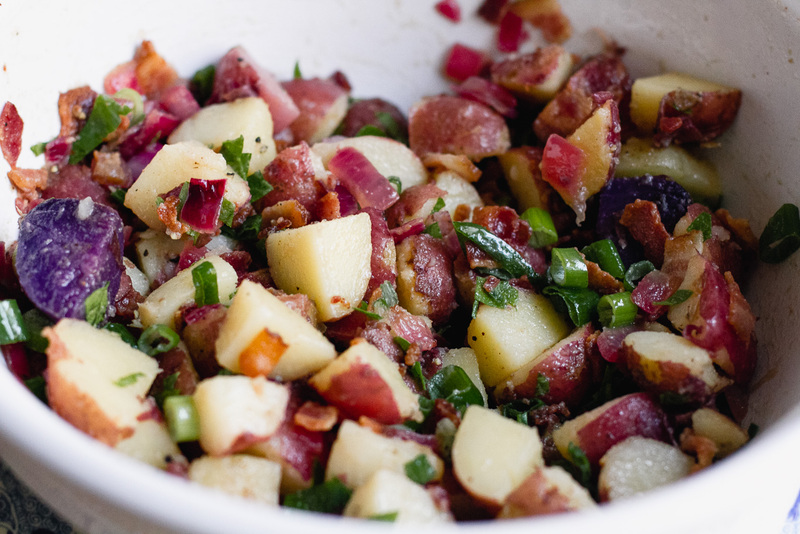 We had a delicious vinegar-based potato salad that one of our friends had made on the Fourth of July and were dying to replicate it at home. Figures good ol’ Bobby Flay was behind it. 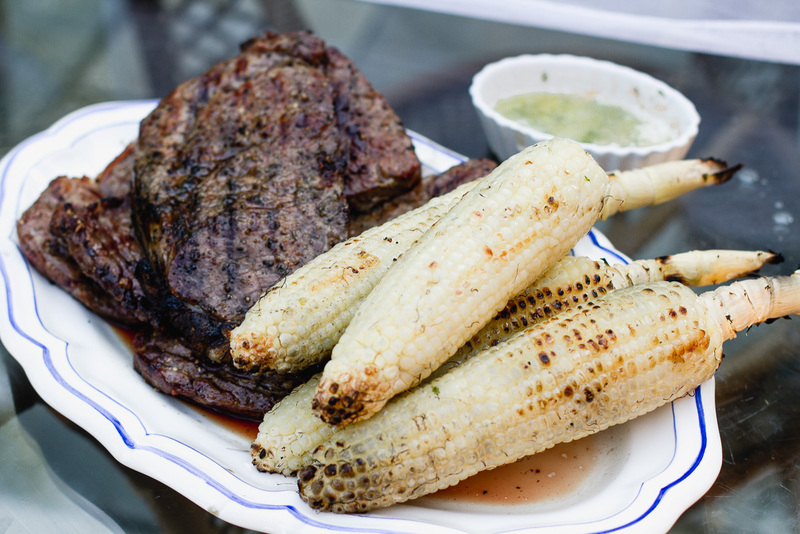 It seemed like the perfect excuse to do classic outdoor BBQ, so we picked up some steaks and corn on the cob to go along. Place potatoes in a large pot with the yellow onion and cover with cold water. Bring to a boil and cook until tender. Drain, discard the onion, and cut the potatoes into cubes when cool enough to handle. Place the potatoes in a large bowl and cover to keep warm. In a large saute pan, add the bacon and cook until crisp. Remove the bacon with a slotted spoon and drain on a paper towel-lined plate. Add the red onion to the rendered bacon fat and cook until soft, about 3 to 4 minutes. Carefully add the vinegar and mustard and cook for 2 more minutes. Whisk in the oil and season, to taste, with salt and pepper. Add the hot dressing to the potatoes and toss gently to coat. Fold in the green onions and parsley. Season again with salt and pepper, to taste. Mix butter, cilantro, lime zest, salt, and pepper in a small bowl. 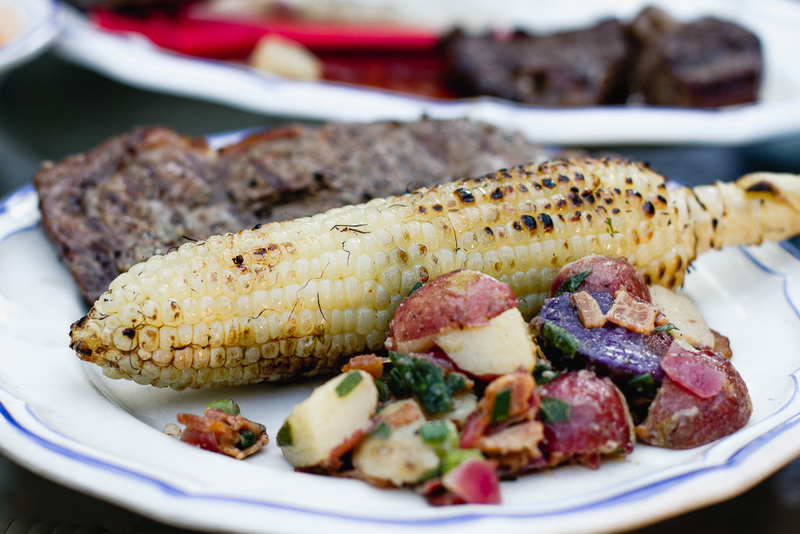 Set herb butter aside. Brush corn with oil and grill over medium-high heat, turning often, until it is tender and charred in spots (about 5-8 minutes). Finely mince the garlic, parsley, and oregano and place in a bowl. Add red pepper flakes. Whisk in red wine vinegar and olive oil. (Alternatively, you can do all of this in a food processor.) 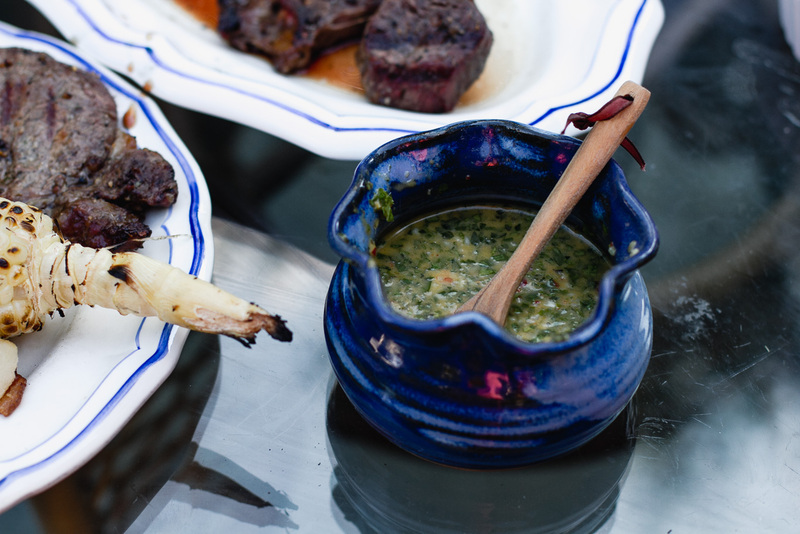 The chimichurri is best prepared at least one day in advance, so the flavors have time to blend. 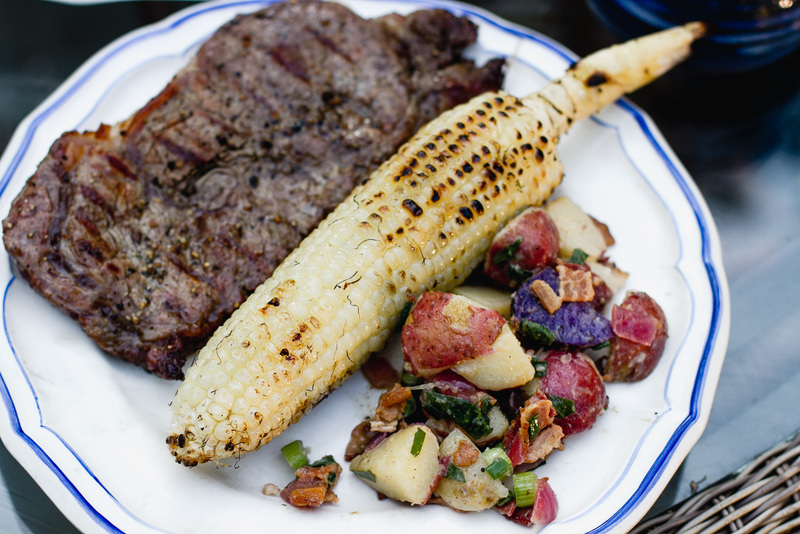 Serve alongside grilled rib-eye steaks, simply seasoned with salt and pepper, and enjoy! This meal looks so delish! Thanks for sharing! Love the idea of a vinegar based potato salad verses the traditional mayonnaise. This looks so good! This looks absolutely delicious!! 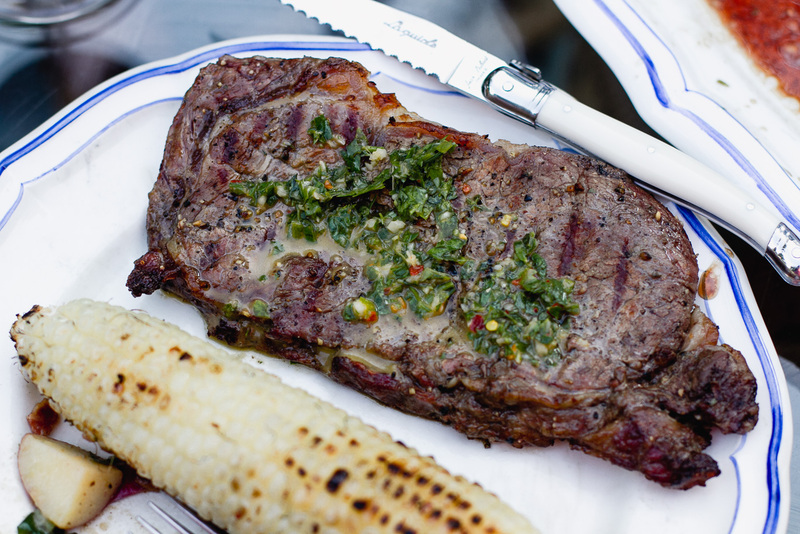 I have to try making that chimichurri sauce, I’m practically drooling! Looks really appealing. Should try it out! Must be so good! Enjoy! The potato salad looks amazing !! Omg…everything looks amazing! I stared at the photos for way too long hahaha. Oh thanks for the idea and the recipe !